I can't believe, it's now 3 years since I started this blog, I just did it like that, though I was a regular visitor to many blogs, I never thought that I would start a blog some day. Now, this blog has become a part of my life, I am trying to be as regular as possible, in posting, visiting other blogs and also trying to present the dishes as best as I could. The comments and encouragement from my fellow bloggers and friends is my inspiration which drives me to keep doing this, I should thank you all for that. I would have loved to share a delicious multi-layered cake today, but I am a little lazy when it comes to frosting and cake decoration, so at least I thought, I shall do something sweet for today. 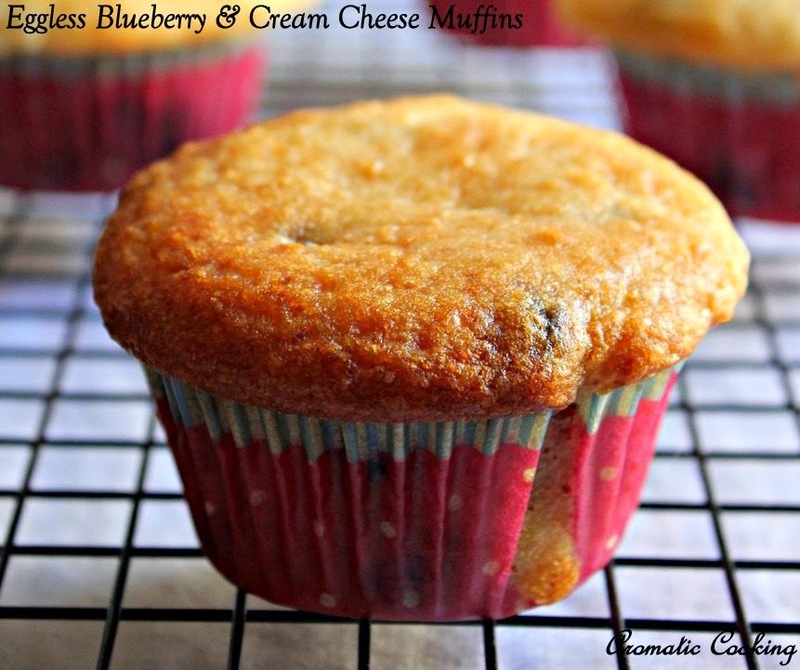 These Blueberry And Cream Cheese Muffins are absolutely delicious, at the same time are very easy to make too and they are eggless and butterless, can have them for breakfast or as an evening snack along with your tea or coffee..
Take the cream cheese and oil and beat it well, to it add the sugar, salt, yogurt, milk, vanilla extract, lemon zest and lemon juice and beat everything together into a smooth mixture. 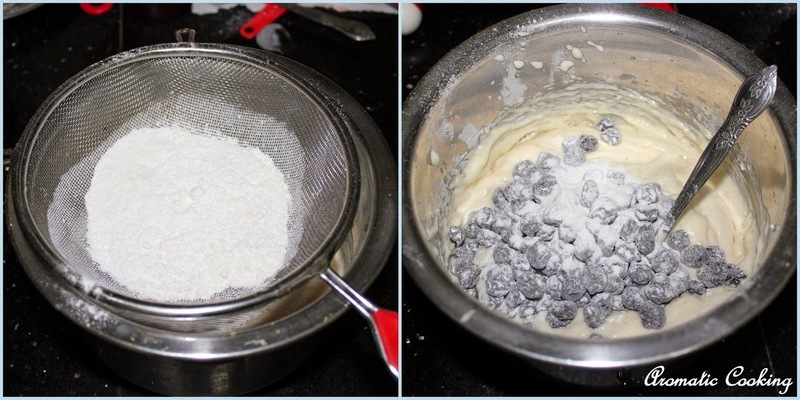 Sieve together the flour, baking powder and baking soda and mix it ( reserving a little to mix with the blueberries) with the wet ingredients and finally gently mix in the blueberries. 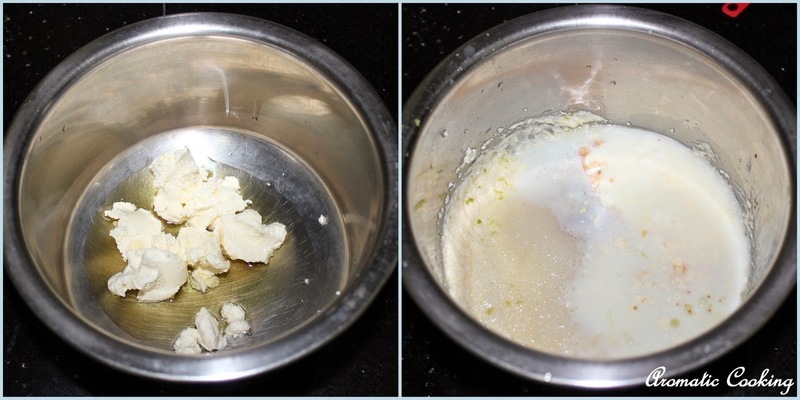 Spoon it into muffin pans and bake it at 190 C for 25 minutes and remove. 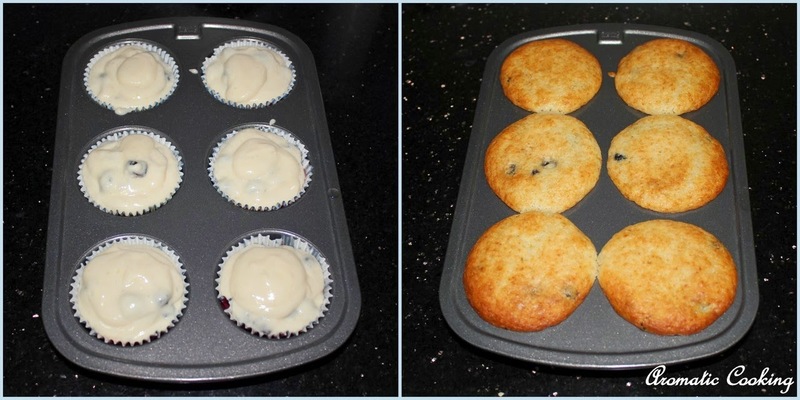 I have used muffin liners and greased the liners as well, the muffins didn't stick at all. Since I have lined the muffin pan with liners, I think I had enough batter for 7 muffins, since I was using a 6 cup muffin pan, I just added the extra batter equally among the six muffins, so the muffins sort of like overflowed, I think I can use just 3/4 cup flour next time. 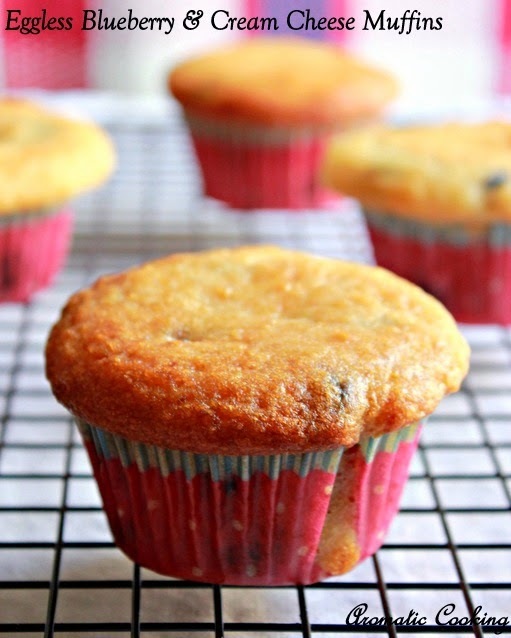 I can't get fresh or frozen blueberries here, so I used dried ones, since the dried blueberries have some sugar in it, the sugar that I have added is enough, but if using fresh blueberries, can increase the sugar by 2 to 3 tablespoons. Oven timings vary, so keep an eye. muffins look so tempting. I want to reach out for one. Congrats!!! 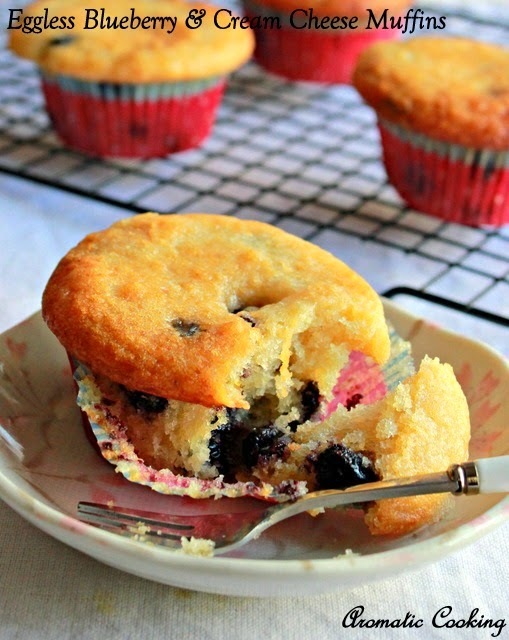 Delicious and moist muffins, looks yummy..
Muffins looks soft and yummy. I started blogging just for fun and now I'm so much into it..lol.